Álvarez Gómez dates back to 1899. It is the oldest perfume house in Madrid and it's synonymous of tradition, distinction, fine quality, unique style and authenticity. In 1912, this perfumery launched their most successful product ever, their Concentrated Eau de Toillete. Luxurious roll-on antiperspirant deodorant that is highly effective. Formulated with plant extracts such as Aloe, Spanish sage and chamomile that protect, disinfect and soothe the skin. Does not stain clothes. 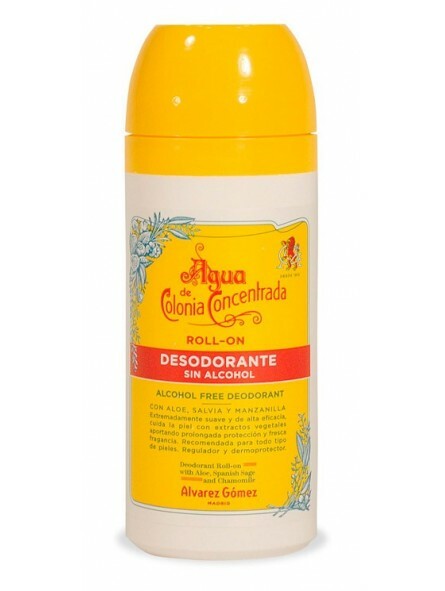 Alcohol free deodorant. 75ml format.